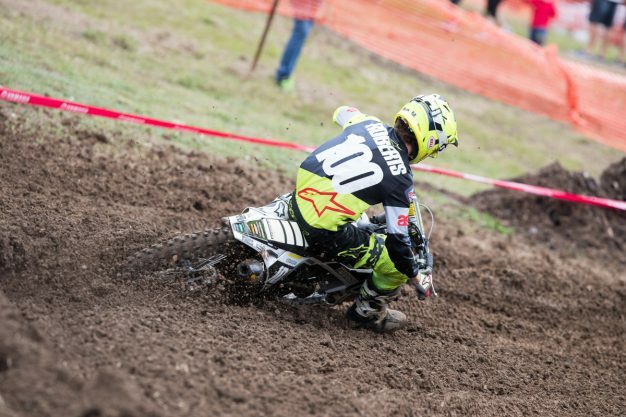 Youthful talent on his MX2 World Championship wildcard entry. The first seven months of 2018 have provided New South Wales talent Jy Roberts with a number of experiences and opportunities that many will never get to experience in their careers. 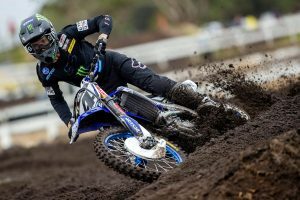 He commenced his rookie campaign in the MX2 category of the Pirelli MX Nationals in April, and it was only a matter of rounds before he recorded a race win and overall podium finish, which came at Murray Bridge’s fifth stop in May. Qualifying in 14th, he set himself up for a solid gate pick in Sunday’s two gruelling 30-minute plus two-lap motos. 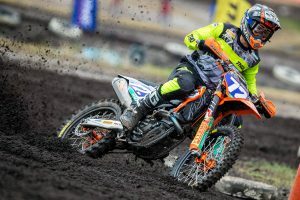 The opening affair saw him recover from an early crash, rebounding for an impressive 12th pace finish – on position shy of Rockstar Energy Husqvarna Factory Racing contender Thomas Kjer Olsen. He returned in race two looking to improve on his already strong result, and a start that saw him placed within the top five was a sure-fire way of doing it. 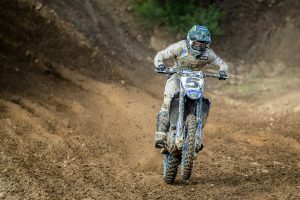 He settled into seventh, where he remained for much of the moto, although misfortune would strike the teenager as he high-sided into a jump, calling for an end to his weekend. “I made couple of mistakes in the races,” he continued. “In the first moto I slid out in a slick spot, but I got up and got back to 12th. The second race I got a real good start, I think I came cross the hole-shot line around third. Roberts says lining up against the world best riders was an indescribable experience, and he admits that while he was nervous in the lead-up, they were completely eradicated once the 30-second board was displayed. 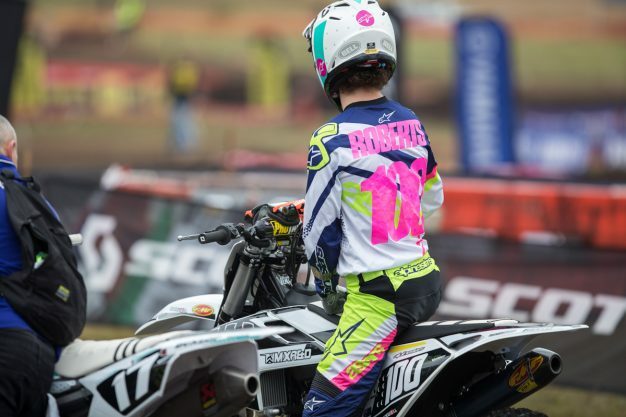 The experience has only grown Roberts’ desire to race on the world stage full-time, and with a life-long ambition to challenge the AMA pro circuit, he admits his brief time in the grand prix as added to his interest of racing in the world championship. The Husqvarna-mounted privateer will return to action domestically in Australia this weekend at Raymond Terrace in New South Wales, marking rounds seven and eight of the MX Nationals.